I'm a mug lovers and stationary addict! this post is for me!! I love cute stationery and that notebook is lovely. Now i'm really thinking about having cake for breakfast! wow that pretty notebook is Sparkly inside! beautiful photos..
Great picture like the post name. I have never seen such beautiful colored roses. I like the mug too. Lovley flowers! And you look gorgoeus as always. 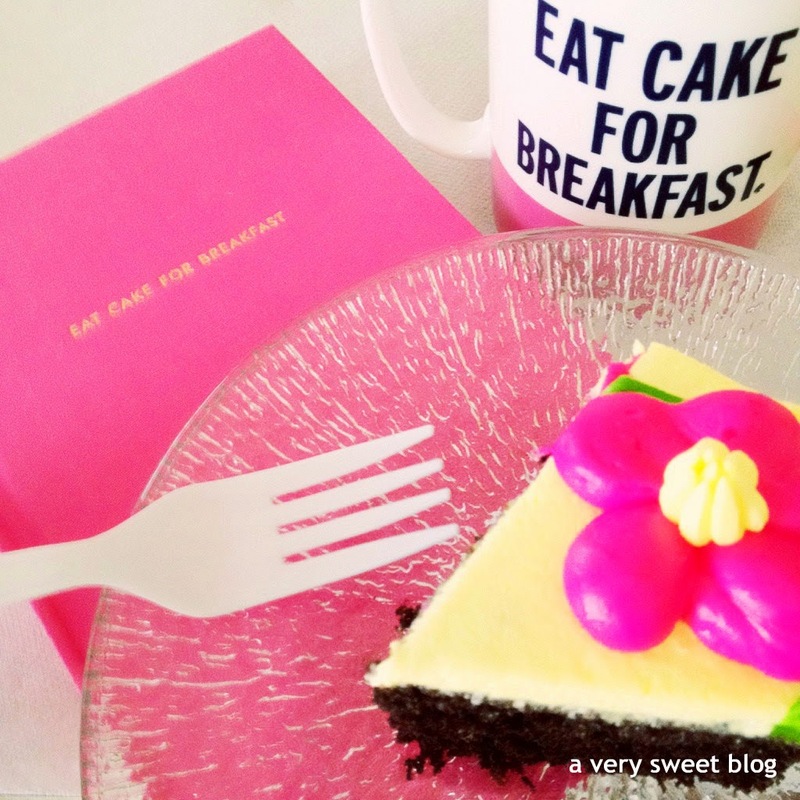 I love that mug and journal, because eating cake for breakfast is really something that I would do haha! I love it. Great pics. Fab lips. FUN mug. The cup is so cute! 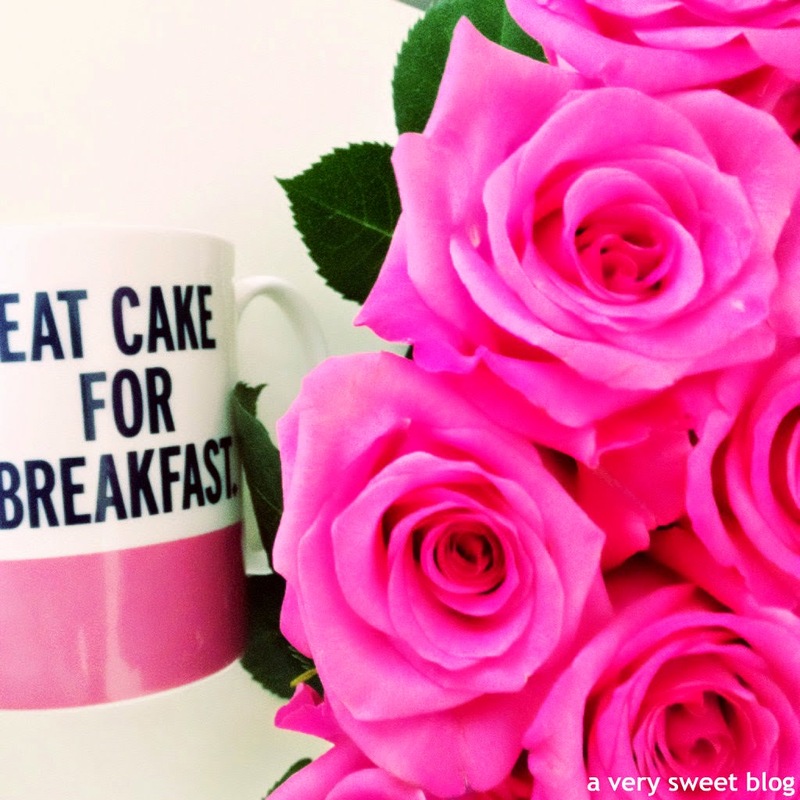 I wouldn't mind eating cake for breakfast every morning! 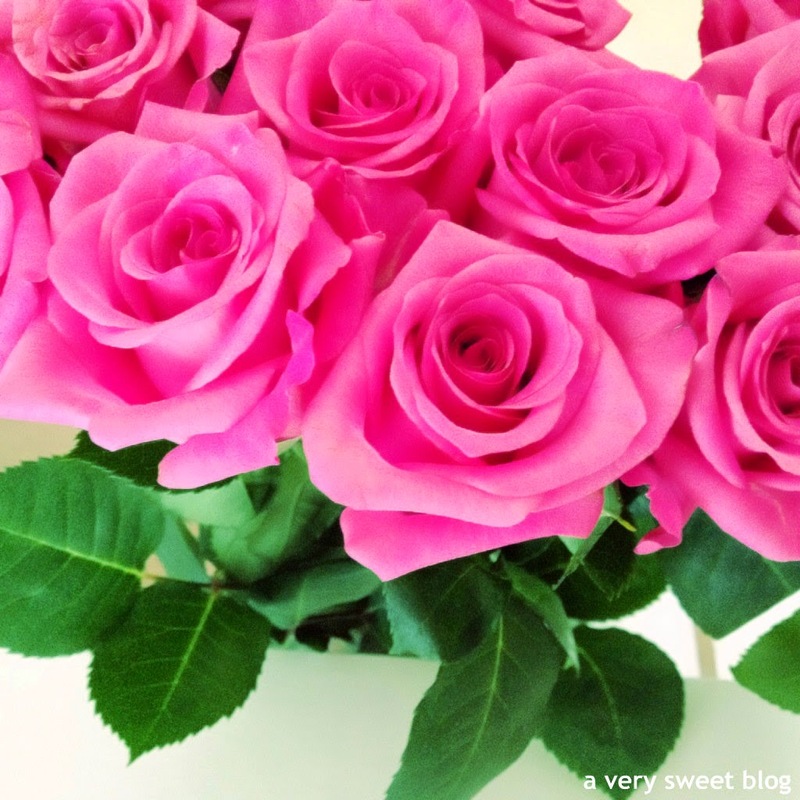 Beautiful roses! I searched for this mug forever awhile back! It is soooo cute! you look so pretty, Kim! love that lip color on you! mmm cake! Oh also. I bloody LOVE a good mug. I agree, what is without a beautiful cake. This is beautiful and i am loving the pink roses. Pretty pink photos. You look lovely Kim :). As soon as I saw your blog post title I got excited!! 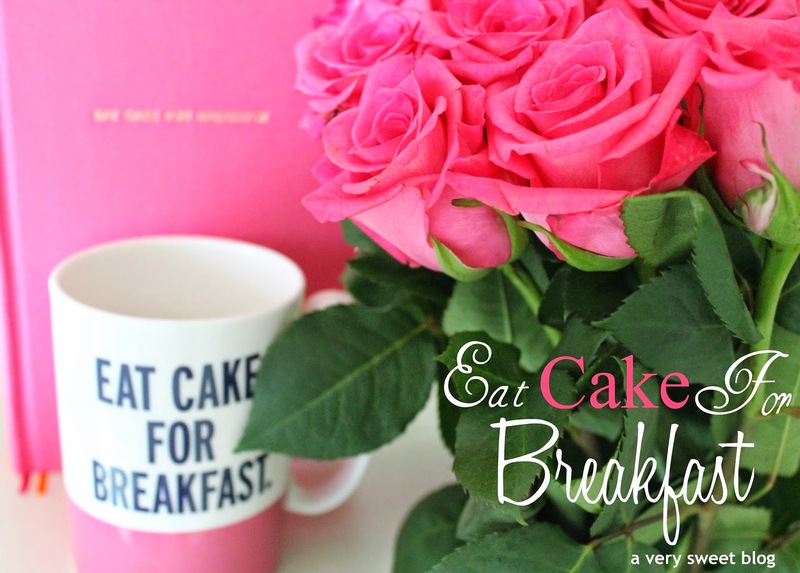 Yes, I agree - you only live one so eat cake for breakfast!! 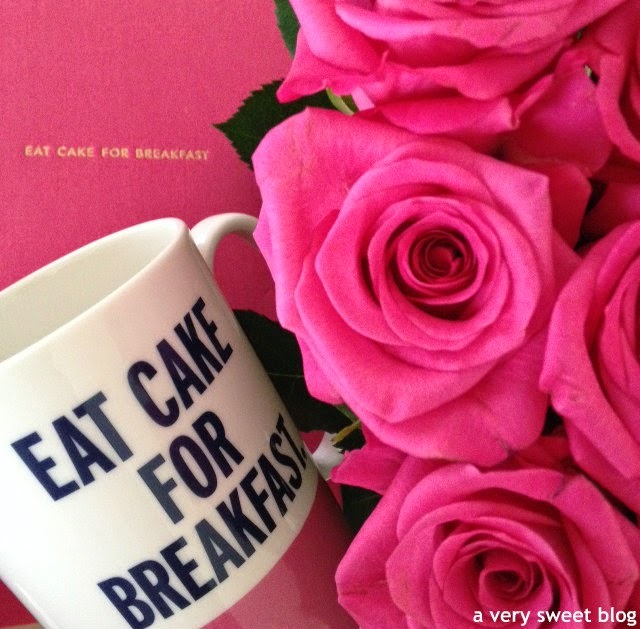 The mug from this Kate Spade collection is the cutest--and so is the cake. Yummm that cake looks delicious! And I'm kind of obsessed with that mug... and just the name that line in general! 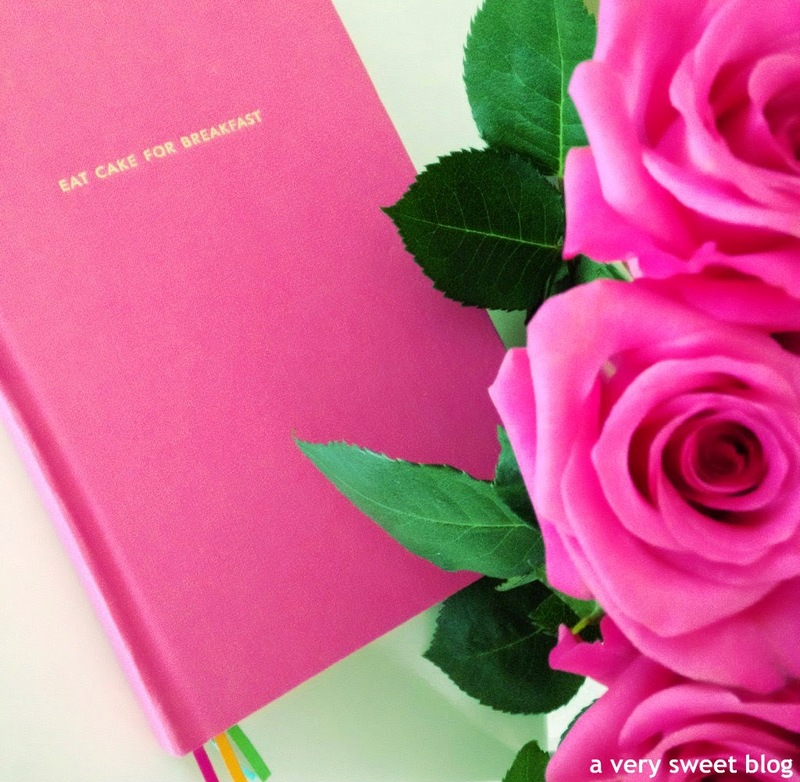 This "eat cake for breakfast" collection is so cute! I love that mug, it's amazing! I have a bit of an obsession with pretty notebooks and this one is so cute. I need lined paper too! Every week I try to buy fresh flowers as it makes such a difference. 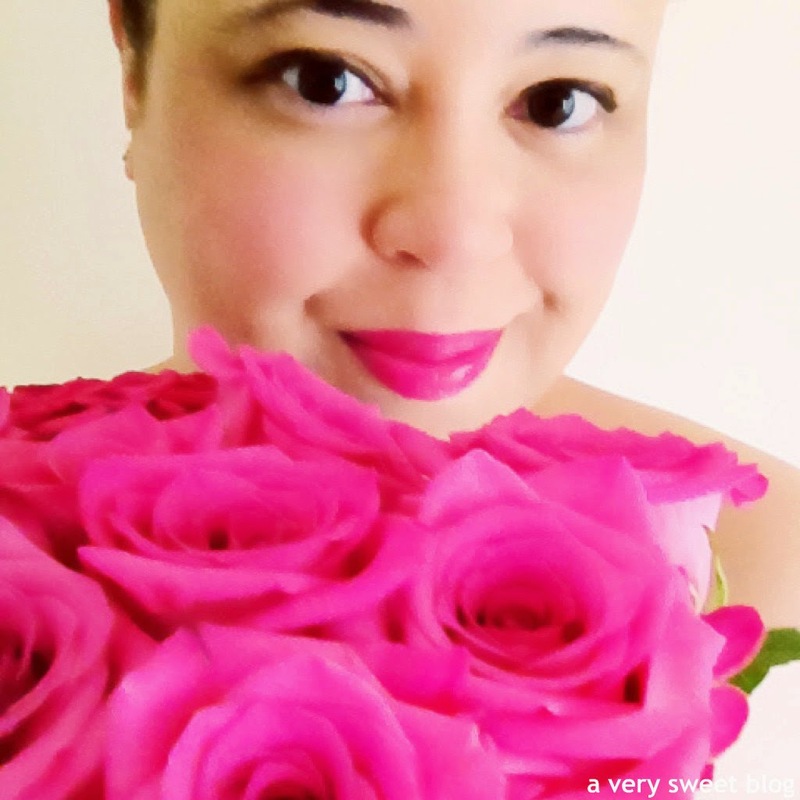 Those roses are such a vibrant pink and I wonder how you found the perfectly matching lipstick!! These photos are absolutely stunning Kim! 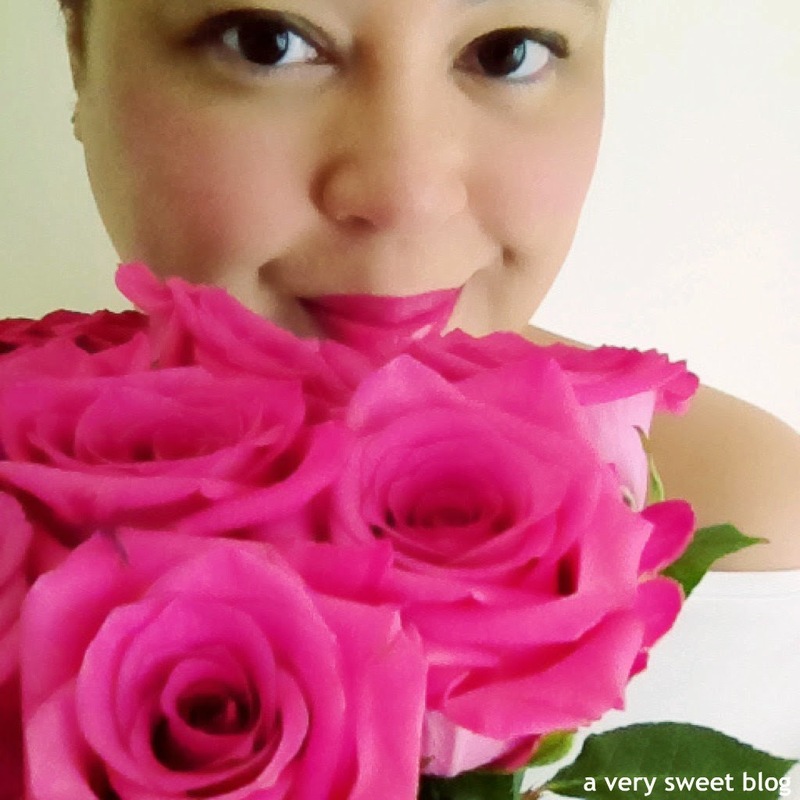 Love the roses, I'm a fiend for some pretty stationery, the cake looks delish AND that lippie is divine on you! Kim you look amazing! I LOVE LOVE LOVE that mug! Also, that cake! DROOLING over here! 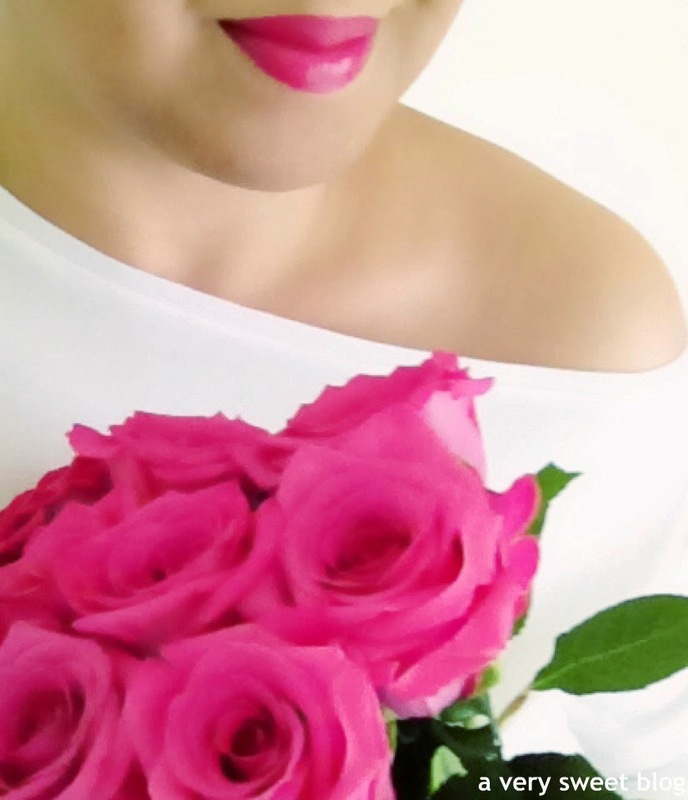 Hi Kim, wow what beautiful roses and I love the color of them and they match you lipstick! The mug and the notebook are nice too. Wishing you a wonderful week too! I love the pictures! I am all for anything that is Kate Spade. 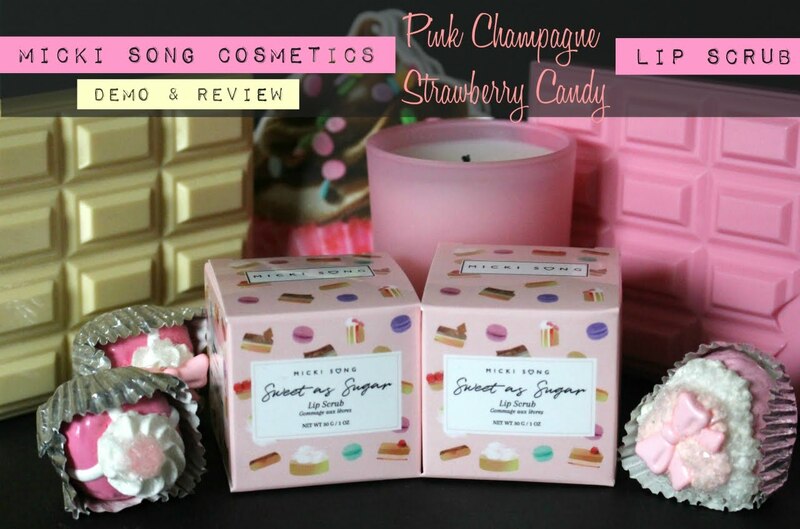 These "Eat cake for breakfast" items are so pretty too. I love them. Chocolate cake sounds equally amazing. Who could resist with such lovely Kate Spade accessories to compliment all that yummy chocolate? 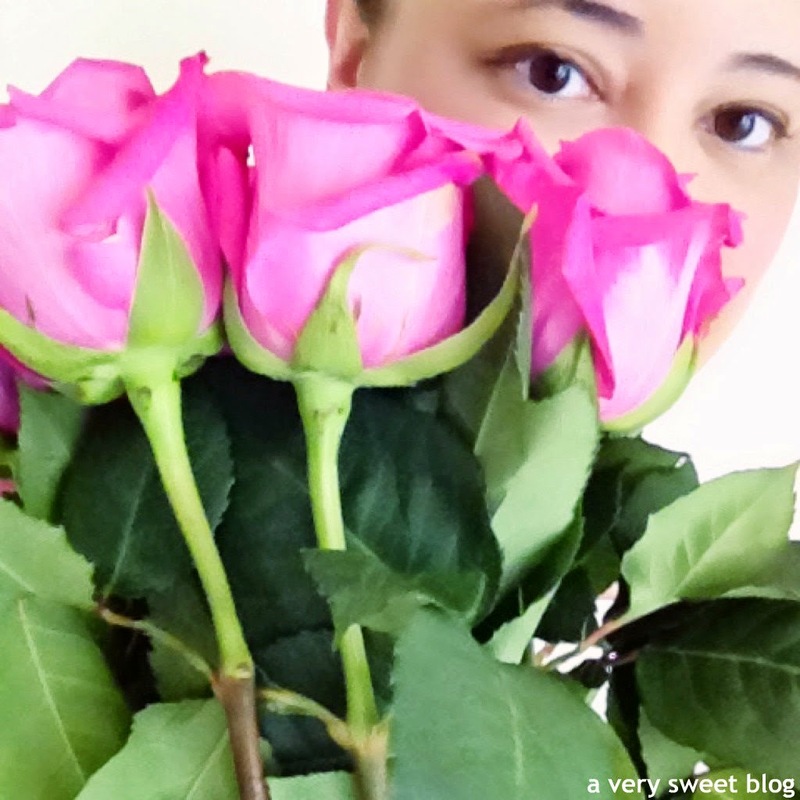 I'm back to blogging! So happy. 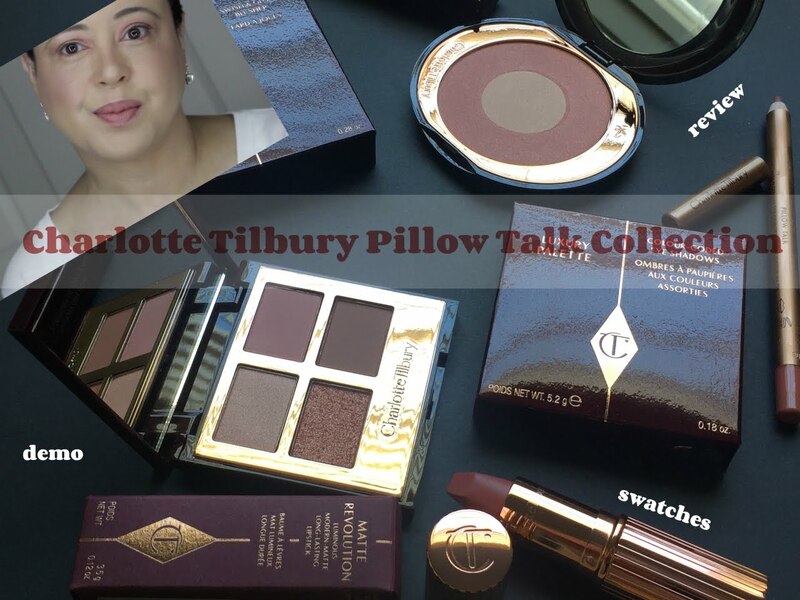 Hi Kim, I love this collection! Thanks again for this journal. How do you know I eat cake for breakfast? Lol, it's true, I tried to eat all my sweets in the morning. Hahaha! The roses are beautiful and I love how it matches your lips. Oh I have always been looking at that cup.. lovely roses and i sure hope you had that yummy looking cake for breakfast. You look lovely dear and I hope these mugs put you in a bright and sweet mood everyday! 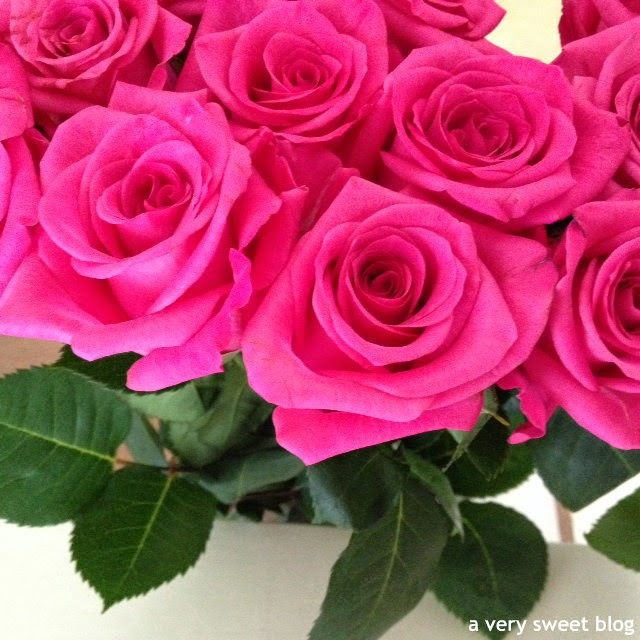 Lovely purchases Kim, You are so precios with this roses. I will dream in pink after this. How cute!!! I love that mug! And I'm definitely guilty of eating cake for breakfast! It's perfect! What is it about Kate Spade that makes me love and want EVERYTHING? 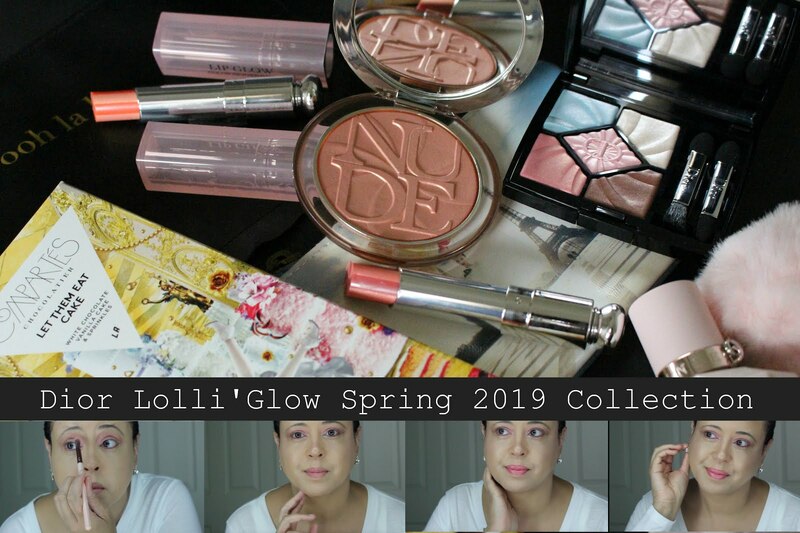 This is such a cute collection, and you look beautiful with those pink roses. I think every girl should just be around bright fresh flowers all the time. Kim, what a fabulous weekend you had. So cute purchases without which I wouldn't leave shop as well. I hope you had a wonderful week. 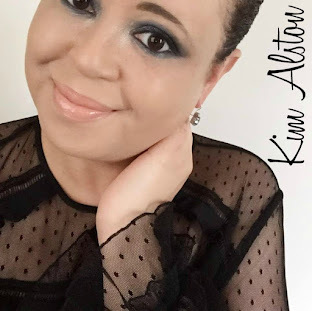 Great post Kim! The pink journal is so cute! 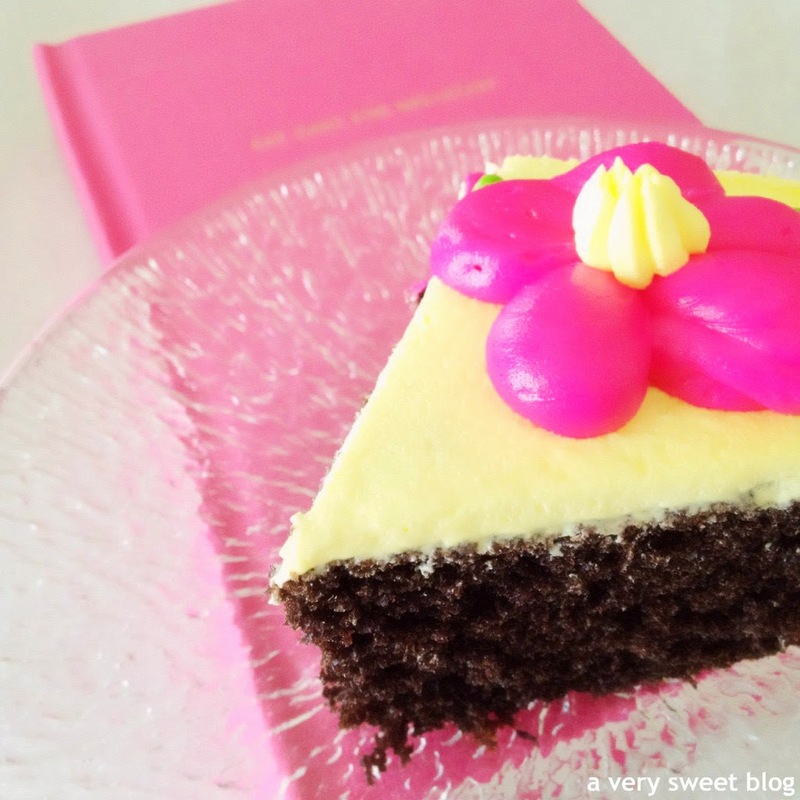 Everything looks so lovely from your pink diary, mug the pink roses and most of all the delicious cake. i'm a big fan of kate spade stuff, always so whimsical and playful ;-) i think i've seen this slogan on a gym bag too, haha - why not! is that the cutest mug or what, well we had ice cream for breakfast before so why not cake, breakfast of champions ! I want me some of that mug !